Big Laurel Main Street - Station on Left. This group of 30 pictures was taken on Jack Parker's Piedmont and Western Railway by A.T. Little. 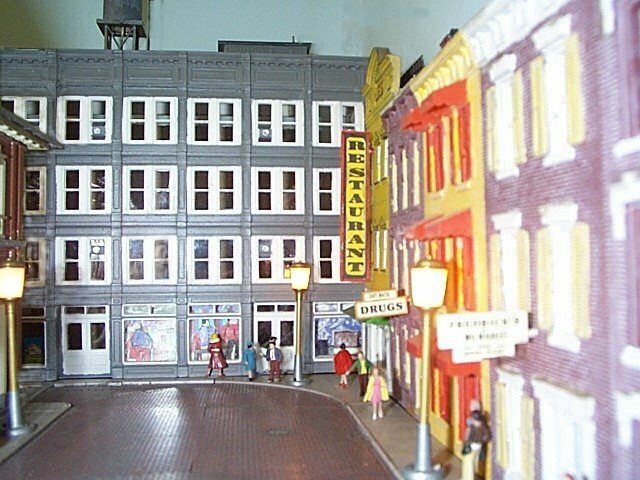 All human figures as well as some windows, holes in the walls, stuff laying on the layout, dangling wires, etc. were removed digitally for purposes of this presentation.